Please click on the tab below to reveal Frequently Asked Questions (FAQ) in the area you are looking for answers. The academic advising team can assist with class planning. If you are a first-time student, you will need to complete your STAR advising session in which creating your education plan is discussed. Otherwise, you can reach out to the Advising team by emailing advising@otc.edu. Log into your myOTC account and click on Student Planning, View Plan & Register and then Advising. You can email your faculty advisor but clicking on their name under My Advisors. Advisors are assigned once you have registered for classes. If you have not yet, registered, please contact Advising@otc.edu for assistance. What if I need to switch to a different campus to continue my coursework? When you register for classes, make sure you register for the OTC campus that meets your needs. That will get your account updated. Where can I get a step-by-step guide towards registration? Follow the link provided to choose your student type. Click the status button that is right for you and you will then see step-by-step instructions towards getting registered for classes. OTC’s Student Advising and Registration (STAR) session is a hands-on seminar that provides new students insight into what programs OTC offers, class planning, and answers how-to questions. I wanted to be in the NUR program but my account says I am BCS. What is a Selective Admission Program? Allied Health programs are not open enrollment and are very competitive in the selection process. If the Allied Health admissions team has accepted you, they will need to update your program of study. Your program will be automatically by the Allied Health Admissions office. Do I have to complete Self-Placement? As of September 2015, OTC no longer requires students to take a placement exam in order to be eligible to take entry-level English, Math, and Reading courses. Instead, students are allowed to choose which entry-level English, Math or Reading course is right for them. OTC is committed to providing students with the guidance and information they need to make appropriate self-placement decisions. What’s the difference between Certificate, Associate of Applied Science, and Associate of Arts? Certificates are awarded for some allied health or technical programs after completing about half of the prescribed program. An Associate of Applied Science degree is oriented toward career and professional preparation. These programs are geared toward preparing students to enter the workforce. Associate of Arts and Associate of Science degrees are designed to help students prepare to transfer to a four-year college/university. The AA or AS degrees are focused on general education or emphasis in math/science areas of study. The Missouri Department of Higher Education (MDHE) has identified a common set of general education courses. These courses are called the “CORE 42.” CORE 42 courses are guaranteed to transfer to any Missouri public college or university to satisfy general education requirements. What is MRT (Missouri Reverse Transfer)? A “reverse transfer” is an educational opportunity for eligible students to transfer certain coursework from the four-year institution the student is currently attending back to OTC to complete requirements for an associate’s degree, certificate or utilizing the Core 42 option. What information is needed for you to verify my Missouri GED information? Please email admissions@otc.edu with your name, the name used when you took the test (maiden name, etc. ), your birth date and the last four digits of your social security number to have your Missouri GED verified online. Can I attend OTC and another college at the same time? Yes, you can attend more than one college in one semester. You may attend OTC as a visiting student if you wish to take a few classes to transfer back to your home institution. However, please know that you may receive financial aid from only one institution. I have graduated from OTC, do I need to apply for admissions again if I want to continue? Your account will be active for registration up to one year after graduation. After one year, you will need to complete a new admissions application to reactivate your student account. I have applied to OTC, what do I need to do next? We have developed an Admission Checklist for our students to follow once they have been admitted. These checklists should outline all the steps involved in attending OTC. If I attended OTC while I was in high school and I want to continue going to college, am I considered a Readmit Student? You would be considered a First-Time student since you were still in high school at the time you attended college. First-Time students are those who have not attended college after graduating from high school. Do I need to submit an ACT score for admission? While ACT or SAT scores are not needed for admission purposes, they may be used for placement in English, Math and Reading courses. I applied last year to OTC and did not attend, do I need to complete the admissions application again? Applications remain active and on file for 12 months. You can email admissions@otc.edu with your name, student ID and indicate the semester you would like to begin classes. If your admissions application is over 12 months old, you will need to complete a new admissions application. I applied for OTC but I want to push back my start date. How do I change my start date? Simply email admissions@otc.edu with your name, student ID and the updated start term that you need. How old do I have to be to enroll in classes? Students must be at least 16 years or older at the time classes start for the semester. Potential students may ask for special consideration by emailing the Dean of Students at deanofstudents@otc.edu. Why do you need TB test results when I am an online student? 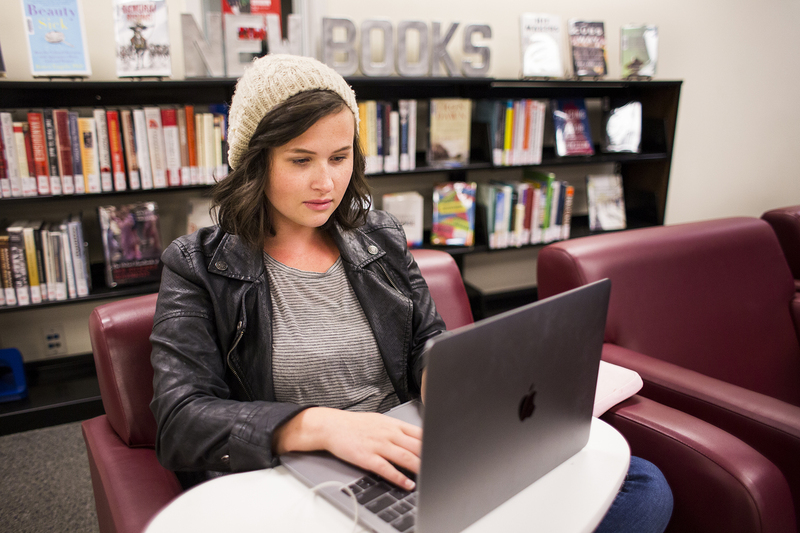 OTC does not prohibit online students utilizing on-campus amenities like the library and therefore must comply with the state of Missouri’s requirements regarding TB screenings and higher education institutions. This is not an OTC policy but a statute by the state of Missouri. Why do you need TB test results? When you completed the admissions application, you answered “yes” to one or more of the TB screening questions. Due to HIPPA (health privacy laws), your answers cannot be viewed by OTC staff or faculty. Even if you answered a question in error on your application regarding tuberculosis, you will still be required to provide proof of a recent TB Screening in order to register for classes. You will be able to enroll in classes for one semester but we must receive and approve required TB documentation prior to registration in your second semester of classes at OTC. This is not an OTC policy but a statute by the state of Missouri. How do I know what student status is right for me? We have different admission types at OTC to accommodate the different students we serve. Follow the link provided here for Student Type definitions. Different student types have different admission requirements. How do I change my enroll status? First, complete and return the Change of Program form. Then, email admissions@otc.edu with your name, student ID and the updated enroll status that you need. Sometimes students may wish to change to a Visiting Student. Check out the stipulations involved with being a Visiting Student. I attended a college while in high school. Am I considered a Transfer Student? You will qualify for admission to OTC as a First-Time You would be considered a Transfer student for admission purposes if you have enrolled in another regionally accredited college or university after graduating from high school (excluding the summer immediately following your high school graduation), regardless of the number of credit hours you have completed. Do I need to send in all of my college transcripts or just the last transcript from the college I recently attended? If you are not a visiting student, all college transcripts are required to be submitted for your academic account to receive potential OTC credit for your prior coursework. Each college transfers credits differently; therefore, all transcripts need to be evaluated. Why is my transcript unofficial? We have received your transcript but it was marked unofficial or came from an unknown or unofficial source. Faxed transcripts will be considered unofficial. To be considered official, your transcript must come from your high school office, state department or institution by mail, email, or hand delivered in the original sealed Copies of the transcript from the student are not accepted. Why is my college transcript incomplete? For college transcripts, an “incomplete” status means a transcript states some coursework is “In Progress” and a new, official college transcript will need to be submitted once final grades have been posted at your other college. Why is my high school transcript incomplete? We have received your transcript from your high school, but your transcript did not include your graduation/completion date. Please resubmit your transcript once the graduation date has been reached and added to the transcript. When do I find out if my transcript has been received? A confirmation email is sent to you within 1-2 business days after the transcript has been processed. How can I tell what credits I will receive for my transfer work? OTC accepts a variety of credit including AP, CLEP and dual credit. Please check out our transfer credit website for more information. How will I know if my high school put the A+ stamp on my transcript? Why do you need my HS transcript again when I sent it several years ago? In the past, the federal financial aid regulations have changed. To receive financial assistance, we need to update additional information from your high school. Please contact your high school and request an official high school transcript to be submitted to our office. We accept official transcripts by email or mail. To be considered official, it must come from the high school. Will my credits transfer from OTC to other colleges? Transferability of credits from OTC to another college is up to the decision of the receiving institution. If you are considering attending OTC first, then transferring to another college, we recommend that you work with an advisor at the transferring college to ensure your credits will transfer as you need them to. What is the difference between Regionally Accredited colleges and Nationally Accredited colleges? Regional accreditation normally applies to an entire institution, while specialized accreditation normally applies to a specific program, department, or school within the larger institution (like our Allied Health programs, for example). Nationally accredited schools tend to be for-profit, career-based colleges, distance learning schools and religiously affiliated institutions. The U.S. government is not involved in the accrediting of nationally accredited schools. Instead, this is a function reserved for specialized agencies. It is possible that students may have difficulty transferring credits from a Nationally Accredited school to a Regionally Accredited school. OTC is considered a Regionally Accredited Institution. I graduated from homeschool. What documentation do I need to supply? Your transcript must include your home address, list of courses, grades, graduation date, and signature of parent/guardian. Transcripts may be evaluated per state regulations and can be emailed to admissions@otc.edu for processing. Homeschool transcript may be provided by the student or parent. Why haven’t my college transcripts been evaluated yet? If you are a visiting student, college transcripts are not required and are not evaluated for potential OTC credit. Otherwise, transcript evaluations are done manually and may take 7-14 business days during certain times of the year. I am transferring credit from a school that uses a quarter system. How does that equate to a semester system? OTC works on a semester system. The Family Educational Rights and Privacy Act (FERPA) is a US law that governs the privacy of student educational records, access to those records and disclosure of information from them. There are guidelines for faculty in regards to best practices to safeguard a student’s right to privacy. What is a 43-hour block of courses that can assist a student in graduation? When students complete the 43-hour block for general education, it facilitates the transfer of credits to eligible four-year institutions in Missouri. How does the CORE 42 block of courses work? CORE 42 courses are guaranteed to transfer to any Missouri public college or university to satisfy general education requirements. What is the Missouri Reverse Transfer (MRT) Program? MRT is a program for eligible students to transfer certain coursework from a four-year institution the student is currently attending back to OTC to complete an associate’s degree, certificate or utilizing the Core 42 option. Do I need a parking pass or sticker? Any person who drives a car, truck, motorcycle or moped on campus and is associated with the college must register the vehicle regardless of its ownership. The vehicle registration form can be accessed by logging into your myOTC account, under Helpful Resources. I am a veteran. Who can I talk to about benefits? Please contact Melissa Trader at 417.447.6968 or email gibill@otc.edu. Who can I talk to about a hold on my account? Please contact Student Services at 417.447.6900. What is a smartcard and why do I need one? The OTC SmartCard serves two major purposes. First, it serves as your official student ID to be used on campus and will have your student ID number and photo on it. Second, it provides options when it comes to receiving your student account refunds. Where is your Admissions Guide? The Admissions Guide can give you a feel of what’s it like to attend OTC, but your best bet is to come to campus and get a Tour! What are some general Facts and Figures about OTC? You may find our Fast Facts from the website below. You will blow them away at the next Trivia Night! Does OTC have Departmental Proficiency Exams? Departmental Proficiency Examinations demonstrate the specific knowledge and skills gained through job experience, outside coursework and specialized training. Does OTC require a Graduate Exit Exam? In order to evaluate how well OTC is meeting its instructional goals, it requires some graduates to complete an exit assessment. For in-district students 60 years of age and older, the VIP Program is designed for the person to take a class each term, tuition-free, on a space-available basis only, after open registration has ended. I cannot login to myOTC with the credentials that were emailed to me. (My default password doesn’t work. How do I check on that?) What do I do? Contact Admissions@otc.edu to let them know. Be sure to include your birthday to ensure your birthday is correct in the system. Try this link: https://password.otc.edu/qpmUser/. If that does not work, contact the Help Desk at 417-447-7548. How do I change my academic program? Simply follow the link to complete and complete Change of Program form online. Your account will be updated within 1-2 business days. OTC is glad to provide an official copy of your transcript or you may print off your own unofficial transcript through your myOTC account. I need an enrollment verification for my insurance. How do I get one? OTC is glad to provide verification of enrollment or degree completion. How do I change my address or phone number with OTC? Students may change some of their information with OTC. Click on the link below to start the process. You may find it necessary to drop a class or withdraw from OTC. I want to give someone else access to my academic record. How do I do that? Students who would like to authorize the release of their educational, financial aid, academic and student financial records to a third party individual may file a Consent to Release Student Information Form. What is Directory Information? How do I prevent others from having access to it? Directory information is the information the college is able to release regarding a student unless the student requests OTC not release it. Graduation is a time of celebration! Click on the link below to apply for graduation and to find out about graduation. We have open registration at OTC. This means everyone can register anytime after the first day of registration. The link below will show you important dates related to graduation. What is considered a normal course load and can I take more than a normal load? Students should consider their course load when planning their semester. What is “Academic Standing”, and why is it important? At the completion of each semester, academic standing is determined for each student enrolled for that semester. Waitlisting is a feature in myOTC that allows a student to “get in line” (i.e., get on the waitlist) for classes that are filled/closed. I got a message that I’m on Academic Probation. What does that mean? When a student’s OTC cumulative GPA falls below 2.00, the Registrar’s Office will place the student on Academic Probation. A degree audit is a tool used to determine what courses are needed for you to complete a certificate or degree. It is viewed in your myOTC account. I just graduated. When will I get my diploma? OTC evaluates all academic records before it disburses diplomas. The Registrar’s Office mails diplomas to graduates approximately six to eight weeks after the commencement ceremony. I need to request a duplicate diploma. How do I get another copy of my diploma? We realize that students may need to request another copy of your diploma.